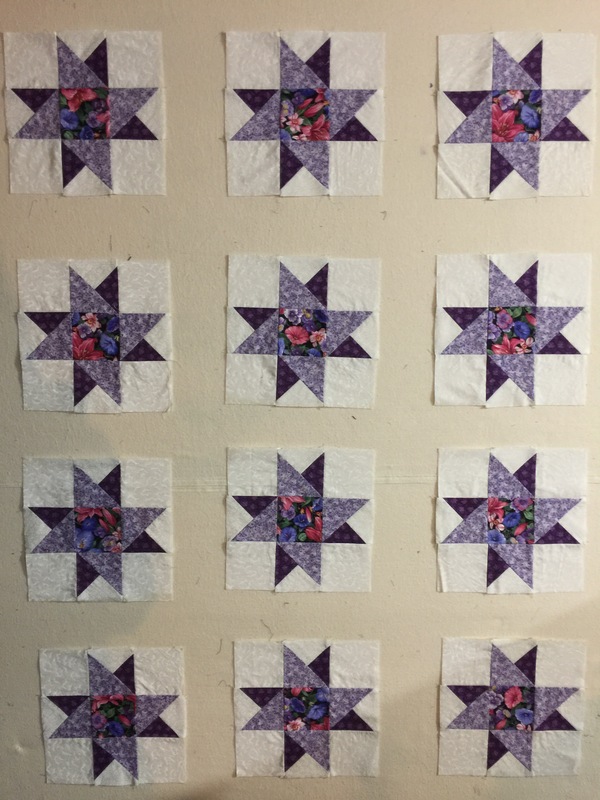 I have become so addicted to string quilts. Whether I’m making squares or sashing units,it doesn’t matter. I just love sewing those strings together and coming up with different ways to put them together into quilts! I bought these blocks online probably 16 years or so ago. 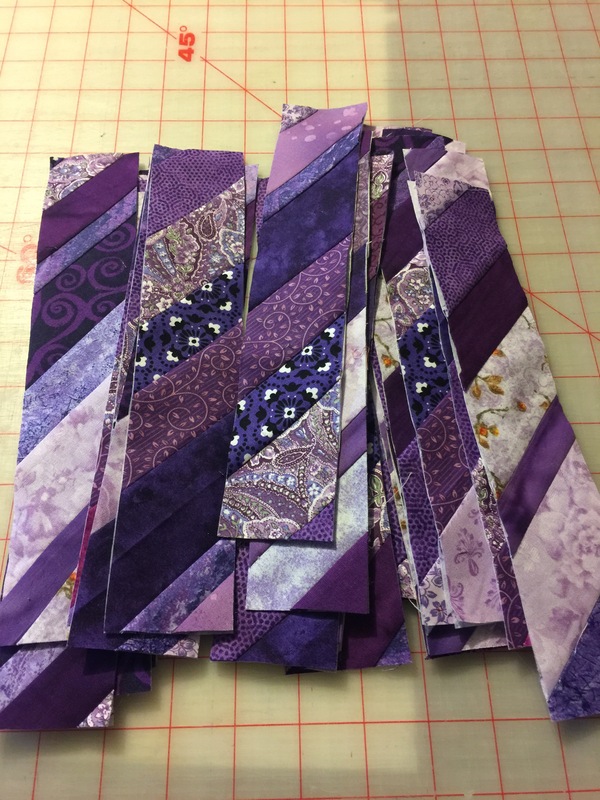 At the time I thought it would be a fast way to put a quilt together (save time by not having to piece the blocks) and have something to practice my machine quilting on. Needless to say, I never did get them made into a quilt top. I always knew I had them in a box somewhere………but where????? I finally ran across them this last week and knew exactly what I wanted to do with them. 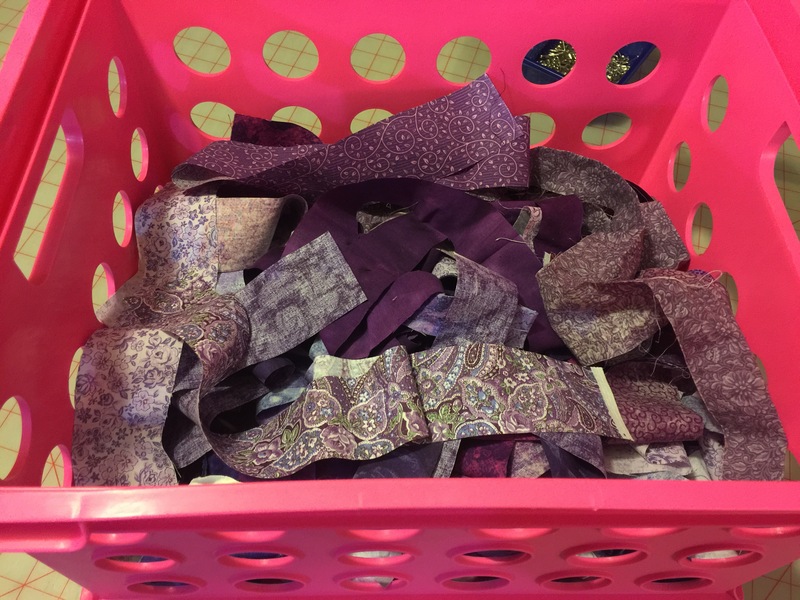 I started pulling purple strings from my string basket and cutting a few more. I’m hoping to find time this week to work on getting the sashings finished. I have all the string pieces made, just need to sew them together to make the sashing units. Ruby’s treasures blog hop winner.